We are arriving fashionably late with this information, but it is still important to know. So my fellow consumer, prepare to arm yourself with the power of a refreshed intellect. If you are like me, and for some reason have not yet upgraded to iOS 9.3.5, you will soon have two reasons for doing so. The first ,and most obvious, reason to update is that iOS 10 will soon be available. 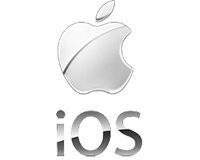 However; if you do not want to upgrade to iOS10, and have not yet upgraded to iOS 9.3.5, you should know that this update is essential to keeping all personal information on your Apple device secure. If your Apple device hasn’t already been updated, I strongly urge you to do so now. To update go to Settings > General > Software Update. According to reports from New York Times and Motherboard, an undetectable malware program has been found that can install and uninstall itself without the smartphone owner even knowing, and it is able to access your camera and microphone making it extremely dangerous. 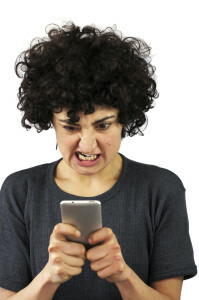 If you receive suspicious texts you shouldn’t click on any links that have been put into the message. As soon as the link is clicked the malware instantly starts tracking any personal data and with the growing dependence on smartphones, more and more people rely on them to hold key personal data. In addition to the ability to access your iPhone’s camera and microphone, the spyware was also capable of accessing messages, emails, logs, and more from apps such as Gmail, Facebook, Skype, WhatsApp, Viber, FaceTime, Calendar, and much more. It took merely 10 days for Apple to release an update to combat the holes pointed out to them by Citizen Lab and Lookout. Though this may seem like a long time, when compared to Android this update came out at seemingly lightspeed. This is mainly because there are tens of thousands of distinctive Android devices as opposed to a fraction of the amount of devices coming from Apple, which furthermore all run on the same core software. This incident goes to show you that even the all-praised for security Apple devices are even vulnerable to malware and security threats from time to time. The best way to keep your device secure is to keep your phone updated. If it hadn’t been for the folks at Citizen Lab, an interdisciplinary lab based at the Munk School of Global Affairs at the University of Toronto, this spyware would probably still exist. 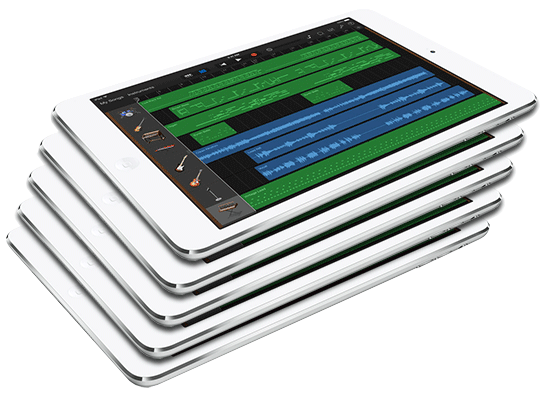 If you need an iOS Device rental, just click that link to browse our Apple products. The month of June is a great time to be an Apple user. The Worldwide Developers Conference has announced many new and exciting things for people who own Apple products to look forward to. Apple has designed a new look for the lockscreen, and 3D touch notifications will allow you to perform a variety of actions directly from your lockscreen. Siri will be made open for developers, meaning that you might finally be able to make siri useful in apps you actually enjoy using. Apple will add a function called QuickType. QuickType can predict how you want to continue or finish your sentences that you are typing based on the context of the sentence. For you avid picture takers, Apple has announced two features. The first of these is called Places, which shows you where you’ve taken your pictures on a world map so that you can requiesce on memories past. The second feature is Advanced Computer Vision, which allows your iDevice to remember you and your friend’s faces and sort people into their own photo albums. Redesign for Apple Maps intended to make it easier for users to access details about locations they are going to before they get there. Apple Music has entered the music streaming field in a big way. One thing that stood out was the price point of $14.99 for a family plan of up to six people (This plan does require that you have iCloud Family Sharing for your account). However, if you happen to be flying solo, Spotify and Apple Music cost the same amount per month for your subscription: $9.99 per month excluding tax. Redesign for Apple News, including a cleaner interface and easier to sort categories. The Apple News app will also present you stories based on what you’ve already read. Additional support added for the Homekit application involving house accessories including cameras and doorbells. Apple has decided to make transcripts for your voicemail messages. If these transcripts work as intended they will definitely be a neat feature. Apple also announced a sort of alert system developed through third parties to help prevent you from answering unwanted phone calls. The Messages app will receive several improvements. For starters, the app will now show links that do not look like clunky garbage. Instead of your friends or family members seeing extremely long lines of text for links, they will now see a picture from the website along with a title instead. Videos will also be improved significantly, videos sent in the Messages app will now be shown and played inside of the message you sent them. Of course, we couldn’t talk about messages without at least mentioning emojis. Emojis will be displayed 3 times larger in iOS 10, and Apple has decided to give you emoji suggestions as you type your messages, and even suggestions to replace certain words with emojis after you’ve typed your message if you click on the emoji button. These are ten new exciting iOS 10 features that Apple announced during the Worldwide Developers Conference. Application Developers already have access to iOS 10 in the form of a beta, and the general public should have access to the iOS10 beta starting in July. For those of you wanting to play it safe and wait for a final version, iOS 10 is expected to fully launch in September. 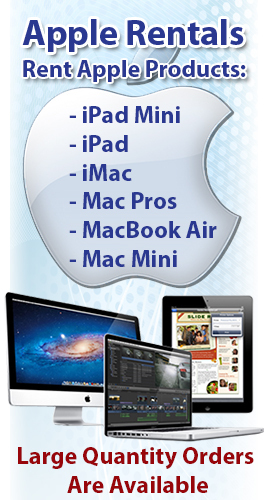 Need to rent a large quantity of Apple devices for a reasonable price? We can hook you up, just click here. Apple has officially released its 4th-generation Apple TV with the first deliveries expected to hit consumers on October 30th. The new model comes with two variations, a 32GB version for $149 and a 64GB version for $199. In addition to that, Apple is also offering free shipping for delivery between November 2nd and November 4th. More unusual is the fact that next-day shipping is $17 though the delivery windows is still October 30th to November 3rd so that extra $17 doesn’t really save you a whole lot of time it seems. 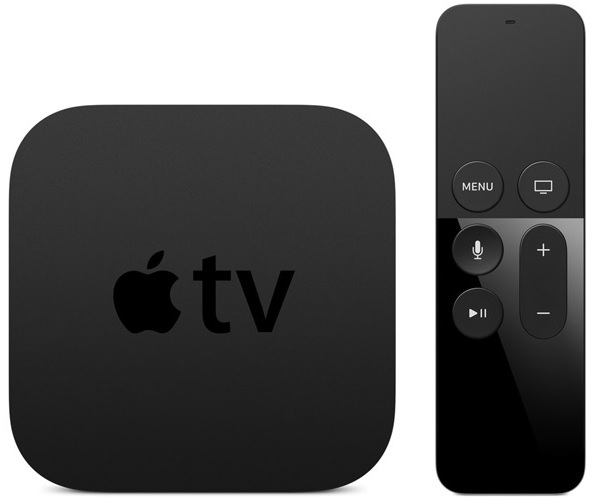 Like most new iterations of Apple products, the 4th-generation Apple TV doesn’t look too different from the 3rd-generation model. The same hockey puck shape is still around though this new Apple TV does come with a ton of new features. The biggest change to come is support for tvOS apps that are specifically designed for Apple TV. HBO, Showtime, Netflix, Hulu, the MLB, the NBA, and the NHL will all have tvOS apps ready on launch, provided you have a subscription to these services. In addition to that, you will also be able to play games directly from the set-top box, though it is still unclear as to what these will look like. It isn’t really possible for developers to simply port iOS apps to Apple TV. They have to design them specifically for the Apple TV. This means that for apps such as games the developer will have to write completely new code, just as if they were writing something for Android or Windows 10. This means that it may take a while for some of your favorite apps and games to show up on your Apple TV. The new Apple TV also comes with a new remote that has Siri integrated into it for voice commands. If you want, you can also buy a wrist-loop for your Apple TV remote for $13 if you want to use it as a game controller. However, you better not lose that remote or you’ll be forking over $79 for a new one. Only one Siri remote is capable of being programmed to an Apple TV, so you won’t be going out and buying multiple remotes in an attempt to play multiplayer games. You will, though, be able to use multiple iOS devices or MFi game controllers with the Apple TV, which will allow other people to join into whatever you are playing. Apple’s latest Apple TV is currently on sale in 80 countries, though the Siri remote only supports voice commands for 12 of those countries. You can get yours now today from Apple’s online store. 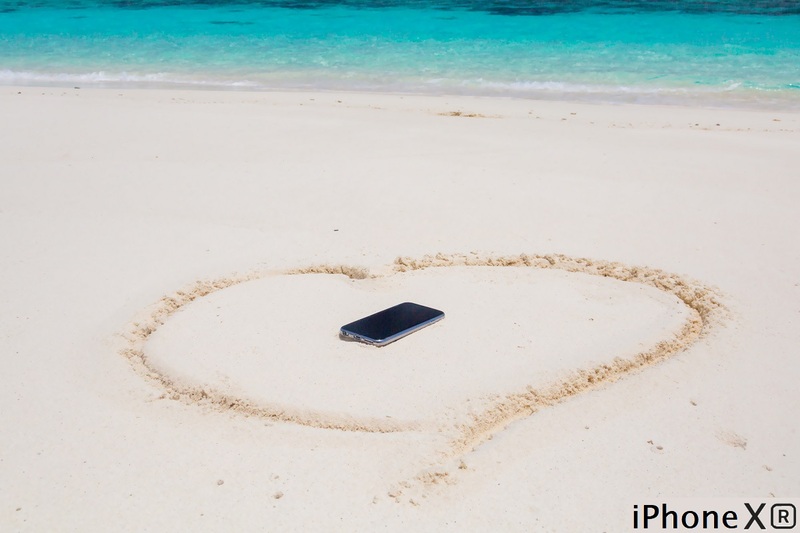 Have you been on the iOS community forums lately? If you have then you’ve probably noticed them being overwhelmed with posts from iPhone and iPad users complaining about a major bug in iOS 9’s cellular data. This bug, according to forum posts, leads to internet connectivity issues, mobile data connection problems, and internal configuration issues that include cellular data toggle being entirely grayed out. In addition to that, other users have also reported that some apps are unable to access the internet through their cellular data. If you are having some or all of these problems and you are thinking about troubleshooting it yourself, then you need to ensure that your device is running the latest version of iOS, which is iOS 9.0.2, as this version brings a lot of bug fixes that includes one for the cellular data connectivity issue. If you want to check to see which iOS versions you have then go to General, then Settings, and then Software Update on your iOS device. On the other hand, you can update your device to the latest iOS through iTunes by connecting your iPhone or iPad to your computer and the selecting Download and Install Update whenever the prompt appears on the screen. Resetting your network settings is one of the easiest ways to resolve a lot of the common internet and cellular data connectivity issues. To do this, open Settings, go to General, and select Reset. Once you hit Reset Network Settings, a message will ask you to enter your passcode for resetting the device. Enter the code and confirm to erase all custom network settings for that device. Once the settings are reset, the device will boot to the Home Screen. From here, restart the device by powering it off and the on again. Once you’re rebooted back to the Home Screen, enable the cellular or 3G/LTE data option to verify that your device can establish a connection. Looking for a Quote on a MacBook Air Rental for Your Next Business Event? Rentacomputer.com offers MacBook Air Rentals for your business event anywhere in the United States! If this doesn’t help then try updating your device with the latest update from your carrier. To do this, launch Settings, select General, and hit the About button. Wait for your device to connect to the update server. If the internet connection is working, then the update should clearly appear on your device’s screen along with the prompt, “Carrier Settings Update: New Settings Are Available. Would you like to update them now?” Tap on the update button to start the download and installation process. Wait until everything is finished and the network will reset to refresh your device with the updated settings. If neither of these options work then your last option is to do a full factory reset. Make sure you backup your data and settings via iTunes before doing this, otherwise you’ll lose everything. To do a factory reset, launch iTunes on your computer and connect your device. Right click on the phone icon in iTunes and select Back Up from the menu. When prompted, create an encrypted backup as this stores all of your passwords and health data. Once everything is backed up reset your device to the factory defaults. To do this, go to Settings, then General, then Reset, then Reset All Content And Settings. This process could take anywhere from 15 to 20 minutes and will wipe any and all data from your device. Doing this will have your device looking brand new. Once you’ve booted back up, connect to iTunes and select Restore from Backup to restore the latest backup files. Go back into Settings and turn on cellular data or mobile data and check your connectivity. If they are, great, if not then you may have to take your device to an Apple Store and have them fix it. 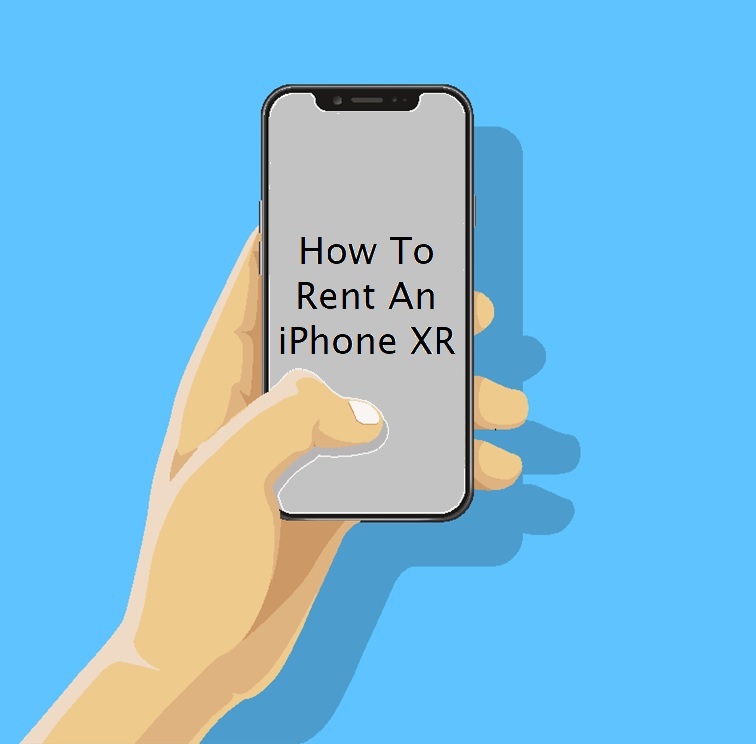 Give these methods a shot if you are experiencing the same problems some very unhappy users on the iOS community forums are. Let us know in the comments which method worked for you and what kind of problems you were experiencing! Looking for more stories like this? 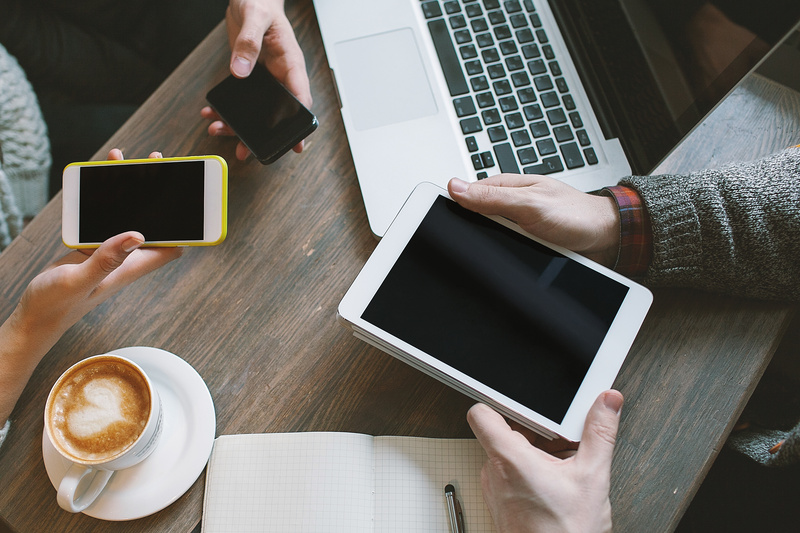 Check out the Mobile Connectivity Solutions Blog! Ever since the very first iPhone launched Apple has made design changes with each new model. Some of the changes have been minor and others, like replacing the all-glass back with an all-aluminum design, have been more significant. However, the basic form factor has always stayed the same. But I bet you didn’t know that Apple had an idea that would dramatically change the way you used your iPhone. Apple was recently granted a patent for an iPhone design that has the screen curve all the way around the phone, and it looks pretty wild. The patent was published on September 29th and is a continuation of various patents that Apple has filed in the past. It really isn’t a new idea, but it is still very interesting and leads speculation that Apple is still toying with ideas like these. 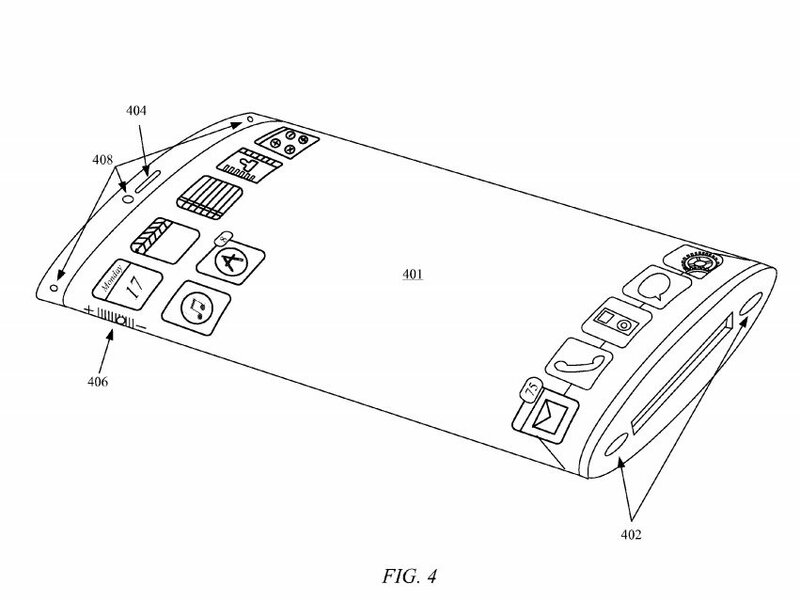 In the patent, Apple says that the design could change the way we use our iPhones. If you iPhone’s screen was extended, you wouldn’t be limited to interacting with the device’s screen only on the front of the phone. Apple also noted that other aspects of the device that would be found along the side. These included a mute switch, power, and volume buttons. However, these would not be able to be used with apps since they are only programmed to perform a single task. The new design that Apple is proposing in the patent would change all of this. Here’s what Apple had to say about the whole thing. Looking for a Quote on an iPad Rental for your Business Event? 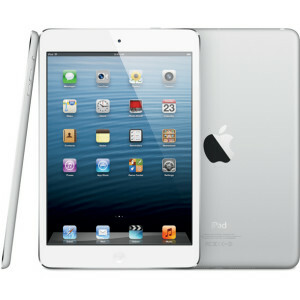 Rentacomputer.com has Nationwide Apple iPad Rentals that are perfect for your short-term business event. This doesn’t mean that we should expect to see something like this anytime soon. Apple patents different technologies and products all the time, and not necessarily because it has any plans of bringing these ideas to the table. Patents simply give users an idea of what to expect from Apple and what the company may be experimenting with. In addition to that, patents also keep Apple’s competition from utilizing certain technologies, giving Apple a one-up. So what do you think? Would you be interested in an iPhone that has a screen that wraps all the way around your device? I, for one, think it’s a neat idea but not one that I think I would particularly enjoy using. But don’t let me spoil it for you; I’m still waiting on my Star Wars-esque holo-projector…..
Apple has officially released its newest smartphones, the iPhone 6S and iPhone 6S Plus. Even though the devices have only been on the market for less than a week, they have already posted some very impressive sales numbers. According to a recent sales report from Apple, the company has sold over 13 million new devices over the weekend, which is a new record for the iPhone. So what’s the reason for such high sales numbers? Probably the fact that Apple included China in its opening weekend sales. China passed over Europe to become Apple’s second biggest market earlier in the year, with sales growing three times faster than in North and South America. To compare, Apple sold 10 million units of the iPhone 6 and iPhone 6 Plus in its opening weekend last year and 9 million units of the iPhone 5S and 5C the year before that. In both cases, the launch of the smartphones in China was delayed. So what’s new with the iPhone 6S and iPhone 6S Plus? Well for starters, these new smartphones come preloaded with Apple’s latest iOS 9 operating system. In addition to that, the new phones come with the new A9 chip with 64-bit architecture and M9 motion coprocessor. There’s 2GB of RAM as well as a 12MP rear-facing camera and a 5MP front-facing camera. 4K resolution is also supported at 30fps along with 4.2 Bluetooth. Granted the changes aren’t astounding, but they are decent. 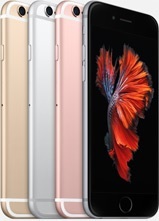 Are they enough for people to upgrade from the iPhone 6 or 6 Plus to the iPhone 6S or 6S Plus? Probably not. But they are good enough to get people to go from an iPhone 5 model (or earlier) and, maybe, good enough for some people to make the jump from an Android device to an Apple. Apple has finally released its next upcoming iPhone event, which will be on September 9, 2015. Apple has been pretty quiet about what its latest announcement will be about, but there are already some hints about it. For home viewers, now’s the time to pay attention! Windows users can now livestream the press conference, which is new for Apple. Unfortunately, viewers using Windows PCs can only use Microsoft’s new Edge browser to watch the event. Apple is limiting users using Google’s Chrome browser because of the lack of support for Apple’s preferred HTTP Live Streaming HLS format. Also during the event, Apple will be announcing two new iPhone 6 models. There won’t be a 4-inch “iPhone 6c,” like there has been rumored. Supposedly 9to5mac’s Mark Gurman says Apple is retiring the smaller iPhone c product line due to an “aging feature set.” On the bright side, according the site, Apple is working on developing a new 40-inch phone product, but it won’t be released this year. If you’re interested in watching the iPhone event, then your best bet is using Microsoft’s Edge browser. Stay tuned here for all the news and info coming out of the event as we will report on it when it drops! 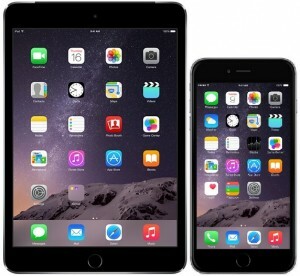 Are you looking to get the new Apple iOS9 on your iPad a bit early? Of course you are. Updates area usually always a good thing. They help make programs run smoother. If you know anything about Apple, however, you should be familiar with the fact that they normally keep their updates to themselves until THEY feel it’s ready. Wouldn’t you know it though, they’ve decided to switch things up a bit. Now, they are letting the consumers try out the new beta for themselves to see how they like it. Not a bad idea Apple. Finally, Apple will get on board with the side-by-side multitasking. This features has been seen on Samsung devices for a while now, so it’s good that Apple is finally catching up with these features. Also, in case you were wondering, any device that you have running iOS8 can be updated to iOS9. 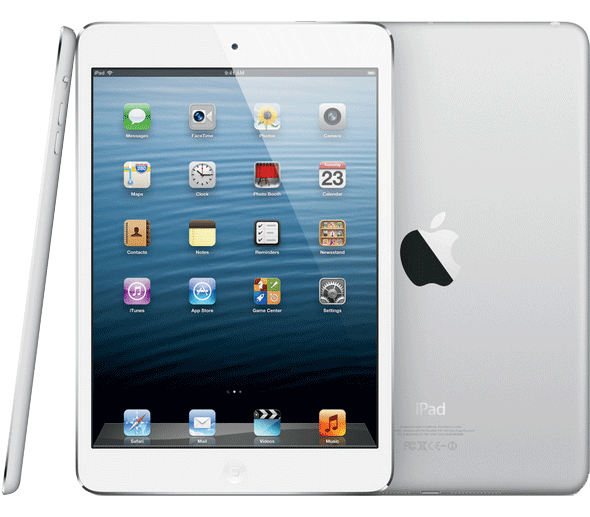 Are you looking for an Apple iPad Rental for your next Business Event? When it comes to these types of OS beta tests, the first and most obvious thing you’re going to want to take care of is backing up your device. Since these are beta tests, they can definitely be unpredictable. Versions like this can potentially wipe your device clean, without any intention at all. Once you’ve backed up your device onto iTunes or your iCloud, you’re going to want to go to https://beta.apple.com/profile/ on your iPad to download a profile. This will allow your tablet to enroll in the beta program. After your profile is set up and installed, restart your tablet. Once it’s all set up, sit back, and enjoy the new features this update brings in the beta testing process. 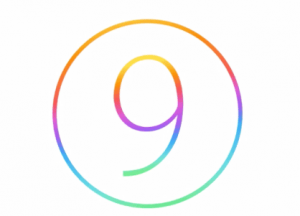 You’ll be responsible for the rest of us getting the best version of iOS9 possible. Don’t mess this up guys! No pressure though.